Many years ago, when Scottish breed of cats was just beginning its development in Russia, the palette of colors was quite small. 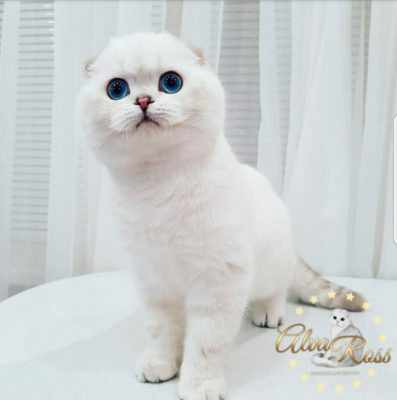 But now, thanks to the productive work of foreign and domestic breeders, this breed can compete with other breeds for diversity and richness of colors. Today we will talk about the color, which has gained immense popularity - Scottish silver chinchilla. 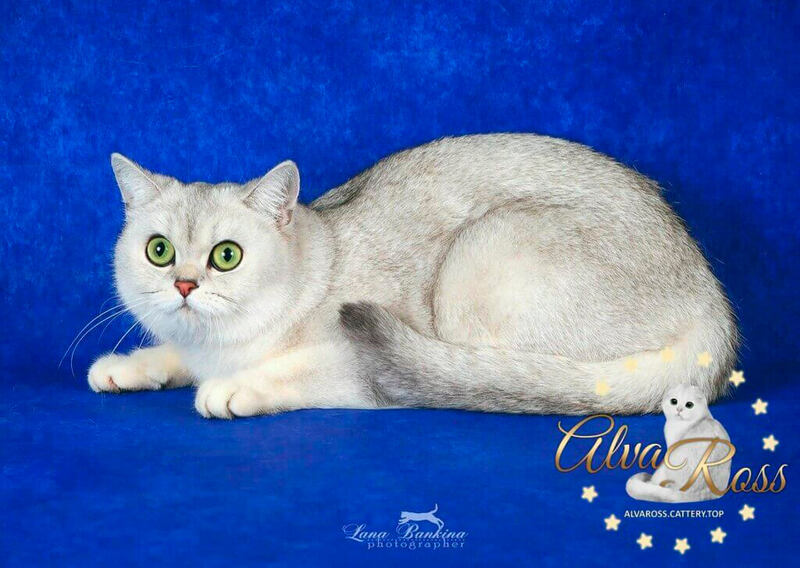 If we are talking about the emergence of chinchilla color of Scottish cats, now almost all modern Scottish chinchillas are descendants of Persian and Exotic cats. 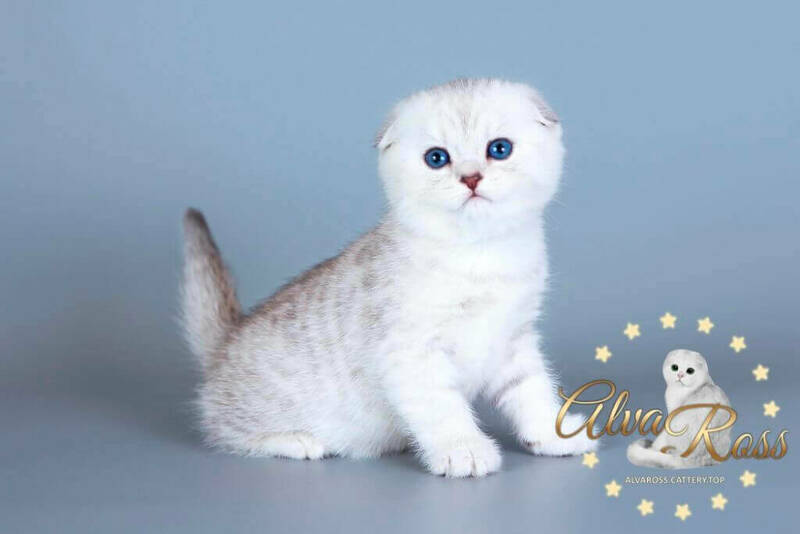 These two breeds were used by breeders to bring this luxurious and distinctive silver color and emerald eyes to the British and Scottish breeds. This work required a lot of effort and time, but, as we see, it has borne fruit. And now we have the opportunity to admire the cats of incredible beauty! By the way, an interesting fact - it is believed that the color of the chinchilla is the first deliberately created and fixed by the breeder color. Scottish chinchillas are usually called cats of the following colors: silver shaded (ns 11) and silver chinchilla (ns 12). In practice, all these colors are very similar in appearance, so we will consider them in one article. The fur of cats of chinchilla color always looks rich and festively elegant. Perhaps, this color can be compared with a artic fox fur coat: crystal white with a black coating. At the same time, the pads of the paws, as well as the strokes of the nose and eyes, are charcoal black, which gives a certain charm and completeness to the image. As I said earlier, Scottish cats have a large number of colors because of their origin. At the beginning of development of the breed, these cats were mostly represented by solid colors, such as: blue, lilac, blue-cream, etc. But to date, it has been possible to get the rarest and once unimaginable colors of Scottish cats by adding new blood of imported cats. 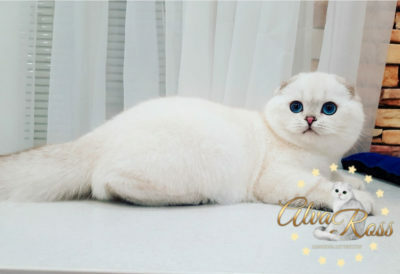 In general, according to the standards of international felinological associations, Scottish Fold and Scottish Straight cats can have a fur coat of any one-color and patterned (tabby) color and their combinations with silver/gold/white. Agree with me, what a huge variety - for every taste! Not every breed can boast of this! So why for many people a Scottish kitten of silver chinchilla color is so desirable? Originality. The color of the chinchilla can not be compared to any other color. There is no other similar! The tail and undercoat of these colors are completely white and only the tip of each wool is colored. This unique type of coloring is called "tipping" and it is inherent only to chinchillas. Ease of care. Representatives of this color have wool, which is easy to keep in good shape. The main rule - follow the breeder's recommendations about feeding! These are proven feeding patterns that will provide your pet with a balanced diet and, as a result, an excellent state of health and appearance. High price. It's a fact that a quality Scottish silver chinchilla cat - expensive! 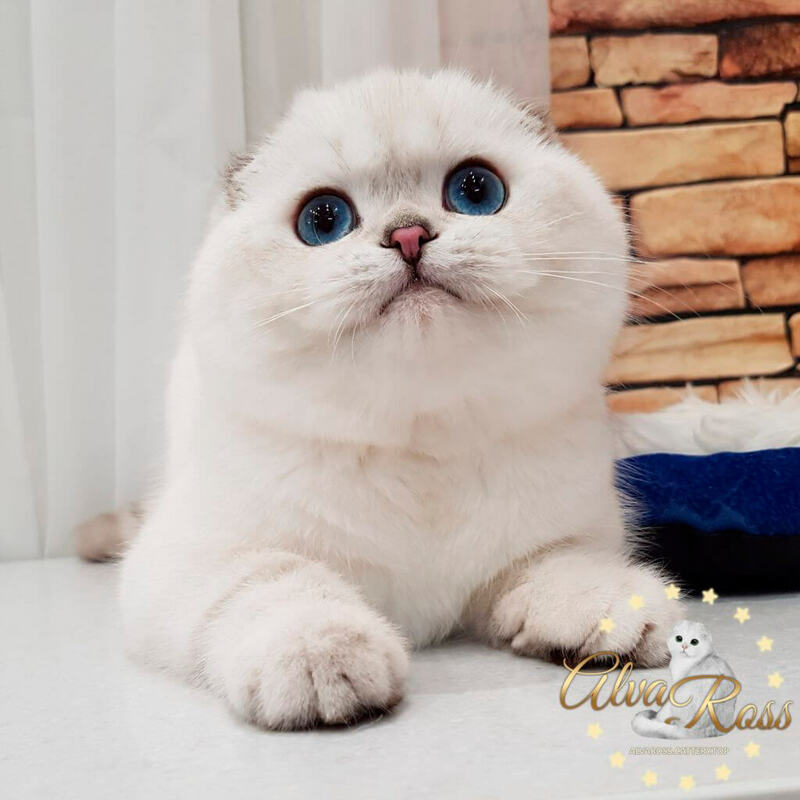 In our cattery all kittens are grown in love and care, and also fully vaccinated with quality vaccines by the time of moving to a new home, and also have all the necessary documents as their parents-champions! 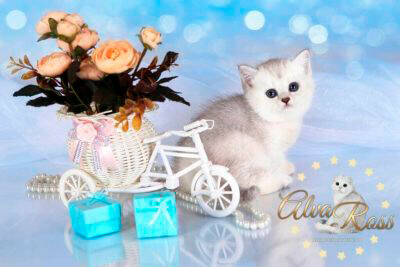 The price of a kitten depends on its class (pet, breed, breed & show) and the purpose of buying. 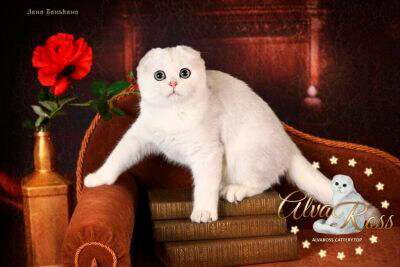 I would also like to tell you about the Scottish Fold cats of this color. 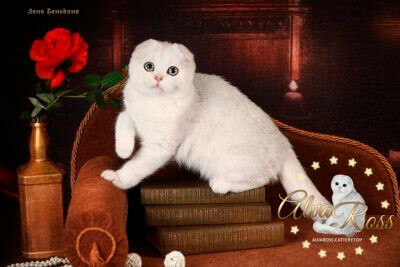 Scottish Fold owners of such chic color as "silver chinchilla" look very unusual, I would even say "extremely unusual"! 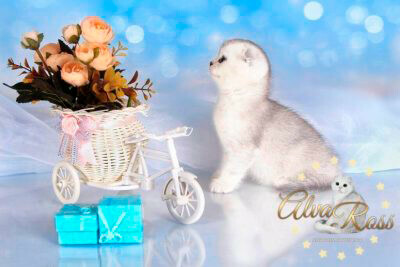 Have you seen Scottish Fold Silver Chinchilla cat Photo before? 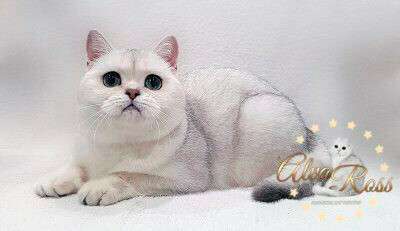 These cats have a strong physique, they have a light or white undercoat. They also have a specific coloring on the back, sides, head, tail. It resembles hatching and gives the wool a silver hue, as if it were not a cat, but an ingot of silver! 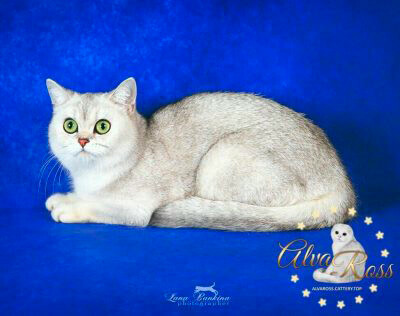 Huge, round, expressive and brilliant, with a soft gaze of emerald eyes combined with such color - a true jewel! And also small ears! The overall appearance is original and charming at the same time. It evokes tenderness and an irresistible desire "I need this kitten!". Scottish Fold Silver Chinchilla photo of these magnificent animals you can see on our website and make sure of the truth of all that I wrote above. As you can already understand from this article, work with this color is very difficult, so catteries of Scottish Fold silver chinchila cats are rarity for today. 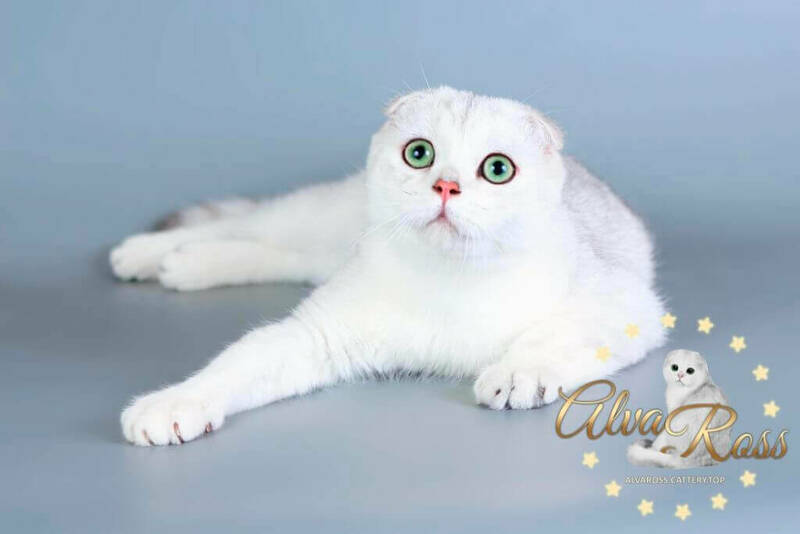 Only a true enthusiast who is literally in love with the enchanting beauty of green-eyed Scottish Fold and Scottish Straight silvery chinchillas, is working on the development of this luxurious color. In addition to the forces and time, significant financial investments are also required. The purchase of quality breeding cats, which allow to improve the type from generation to generation, the cost of the show career of animals, as well as their keeping and veterinary services - without all this, breeding work with cats is simply impossible. But, as you know, a person who puts his whole soul into a favorite business will certainly succeed! 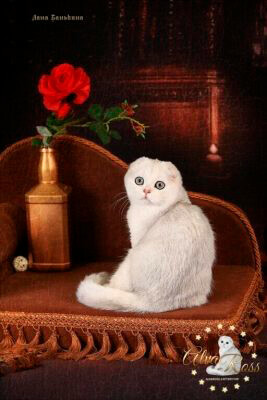 And, thanks to such enthusiasts, the number of quality Scottish Fold silver chinchillas will increase significantly! We will have the opportunity to contemplate their beauty at the top exhibitions around the world! The group of these colors is unofficially called precious and it's not just that!